Last week MOMA announced its first acquisition of an app, Björk’s app titled Biophilia, which is the same name of her album released in 2011. The app is a beautiful bundle of music, information and mini-games designed to explore the cross hairs/Venn circles and bridges between nature, science and music. MOMA also announced they will be having a retrospective of her 20-year career in the spring of 2015. The app was launched in sequence with school workshops and residencies, making this the first album/app as integrated arts experience for school children. Nordic schools are incorporating it into their curriculum, and the program has so far been run successfully in Paris, Oslo, São Paulo, Buenos Aires, Manchester, New York, Los Angeles and San Francisco. Biophilia literally means “love of life or living systems.” The biophilia hyposthesis suggests that there is an instinctive bond between human beings and other living systems. Edward O. Wilson introduced and popularized the hypothesis in his book, Biophilia (1984). He defines biophilia as “the urge to affiliate with other forms of life”. Projecting from this idea, and evidenced in Björk’s recent creative work and the world at large, we are connected to nature on many levels and are especially thriving when nature is thriving. In Björk’s album/app she takes 10 emotions and systems of the body and nature and creates a track, game and visual graphic of the composition. The most touching I think is the “Virus” piece where love, too much love, becomes a destructive thing – just like in biology. And you have to lose the associated mini-game to hear the whole story. Heartbreaking. Or “Moon” where the water, pearl shapes and harps combine to make a blissful melody about the tides of the moon. I just downloaded and played it for some time by myself and with my kids. Will you learn more about the systems explored? Not exactly. Does it create the perfect springboard to reconsider your place in this universe, absolutely. Is it an amazing app from a technical perspective, not exactly. Is it profound? Yes. Like all other product and project creations (artist or corporate) audience engagement is the urgent message these days. You don’t just sit back and listen anymore, or simply look at pictures, you engage! Making its acquisition by the MOMA timely and relevant. To return to the biophilia concept (human love of living systems) and some ideas on synesthesia (fusion of the senses). The app is an apt example of combining visual with musical (synesthesia): you can see the music, the sounds mimic the shapes and so forth. Kandinsky (the man who heard his paintbox hiss) would be hugely jealous of Bjorks latest creation. I’ve always had a hunch that pop music was pop music first because the beats per minute were the same as the average heart beat. This is why running music is faster and lullabies are slower. So what does it mean when the system is discordant and does not synch with your heart beat? Enter John Cage and friends. This music speaks to your mind, not your heart. Neither is better or worse just different. To use an example of the visual (art and otherwise) and how it is intrinsically related to our limbic and nervous systems: what happens when you see, only see, a stick on the path while walking in the forest and you mistaken the stick for a snake? The visual creates an incredible shift in your heart and mind and hormones. Extrapolate this thinking to when someone is surrounded by no visual cues of nature, no plants or oceans. I would venture these visual surroundings would be damaging in certain ways. Or worse, visuals of incredibly violent video games over the course of a rocky hormonal time…what do those visuals do? Take note and surround yourselves with beauty people. One of the tracks I found most compelling on the Björk app is “Dark Matter”. In the studio I’m still exploring Psyche’s journey, in particular one of her darkest. On the internet I’ve accidentally connected with someone exploring dark matter as it relates to knowledge and museums, and so on. Dark matter, while a modern astronomical term, is tickling the imagination of everyone from musicians, artists, scientists and web strategists. Dark matter is the gap between what we know and what we don’t know, ergo a very exciting place to explore. And I’ll venture to say where artists and scientists have been hanging out happily since the beginning of time. Welcome to Biophilia: A love for nature in all her manifestations. From the tiniest organism, to the greatest red giant floating in the farthest realm of the universe. With Biophilia comes a restless curiosity, an urge to investigate and discover the illusive places where we meet nature. Where she plays on our senses with colours and forms; perfumes and smells. The taste and touch of salty wind on the tongue. But much of nature is hidden from us, that we can neither see, nor touch, such as the one phenomena that can be said to move us more then any other in our daily lives: Sound. Sound harnessed by human beings delivered with generosity and emotion is what we call ‘music’ and just as we use music to express parts of us that would otherwise be hidden, so too can we use technology to make visible much of natures invisible world. 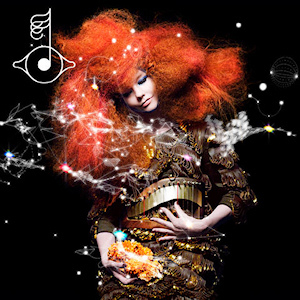 In Biophilia, you will experience how the three come together: Nature, music, technology. Listen, learn, and create. Travel the cosmos lying at your finger-tips, touch the galaxies, and move through their three dimensions. Discover the different song apps as they are introduced into the constellations and explore their extra features. And should you feel lost in space you can always use the musical compass icon to take you home. Now, forget the size of the human body. Remember, you are a gateway between the universal and the microscopic. The unseen forces that stir the depths of your innermost being and nature who embraces you and all there is. We are on the brink of a revolution that will reunite humans with nature through new technological innovations. Until we get there prepare, explore, Biophilia.